2 buildings +100 designers = the ultimate shopping treat! 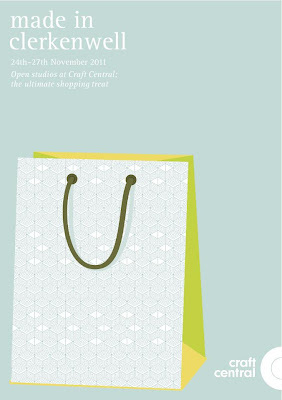 Today and tomorrow I am working at Craft Central to help at their winter open studios. Designer makers in both of the Clerkenwell buildings are opening their studio doors to the public. A great change to pick up some lovely hand-crafted crimbo presents, as well as a lot of inspiration! I'll blog as the event goes on, hopefully with some pics!